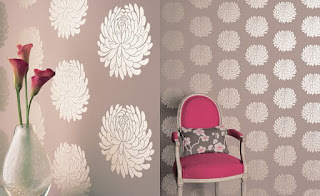 I have a project that we ordered some very lovely Romo wallpaper for, the pattern is called Kiku. For various reasons we have decided it is no longer going to work for the space, so it's yours for the taking. 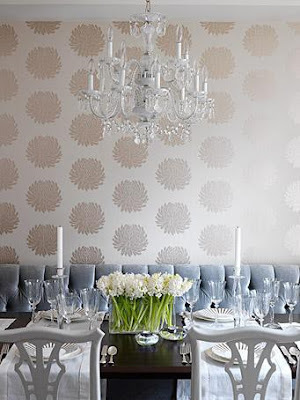 Sarah Richardson used it in this pretty little dining space. The colorway is Opal and we have 4 (European size) double rolls. Here are the specs. $95/roll + tax, buyer pays for shipping. If you live in Boston we can arrange a pick up. 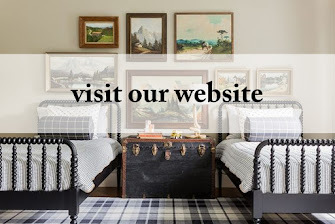 If you have a space where you might need more we can chat. Email me sabbedesign@gmail.com if you are interested.